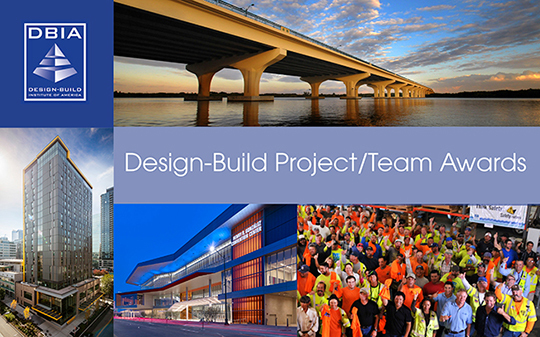 The Design-Build Institute of America is proud to announce its 2017 Design-Build Project/Team Award Winners. As the use of design-build continues to grow in all sectors so has the number of impressive project success stories. This year’s award winners are leading the industry by delivering some of the nation’s most impressive design-build projects. These award-winning projects were evaluated in nine categories by a distinguished panel of experts in design-build project delivery. 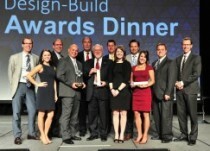 Each of these Merit Award winners will go on to compete for a National Award of Excellence and Project of the Year to be announced at DBIA’s Design-Build Conference and Expo Awards Ceremony in November. Photos and full descriptions of each project can be found hyperlinked from each name.